Part 3…What can we learn from elephants? Elephants use their ears to funnel in sound waves from the environment which contributes to their keen sense of hearing. How well do you listen to your customers? Are you listening closely to their problems and concerns? This is the main way for you to gain a loyal customer base is to listen to their needs and find ways to solve their problems through your business services and products. Elephants ears are approximately one-sixth the size of its entire body! Imagine if we had ears that large and could listen to our customers needs’ effectively with a resource that size. The average weight of an elephant’s heart is anywhere from 26.5 to 46.3 pounds! How big is your heart? Figuratively speaking…. We need to have big hearts and genuine concern for our customers and clients. Are you in tune with how their business is operating? Or do you know what they might be going through on a personal level? We deal daily with all kinds of different moods and personalities in our businesses. We need to develop a heart of compassion towards the needs of others so that we can effectively and authentically help meet the needs of those we come in contact with. This just makes good business sense and a loyal customer base will be created from this relationship. Elephants have the largest brain of any land mammal. Not surprisingly, scientists believe that elephants are of very high intelligence. We need to use our intelligence to run a successful business. We need to have concrete plans and goals for our businesses. A business plan ensures that we have a measuring stick of where we plan to go and how far we have come. The elephant’s trunk is used for grasping, breathing, feeding, dusting, smelling, drinking, lifting, sound production/communication, defense/protection, and sensing the environment around them. The trunk contains an estimated 100,000 muscles and tendons giving it extreme flexibility and strength. The trunk can expand, contract, and move in a diverse array of directions. 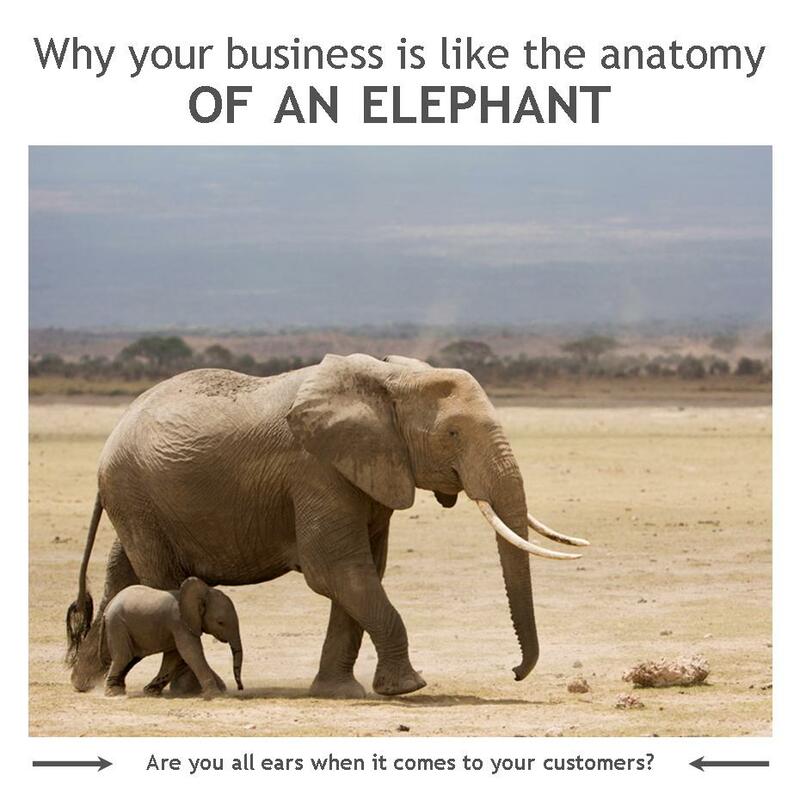 We need to be flexible in our business dealings just like the elephant’s trunk! We have plans in place that we are working towards, but sometimes market conditions, employees, and the competition takes a different turn. Successful businesses have to be ready for these changes in the business climate and adapt quickly. The anatomy of an elephant is a lot like running a business. Purpose to use your ears, heart, brain, and flexibility in your business! Did you know that baby elephants throw temper tantrums just like toddlers? Now I am not advocating you throw a temper tantrum to get your customer’s attention, but just like a baby elephant we need to position ourselves in the marketplace to be seen and visible amongst our competitors. Survey your potential clients and see what problems they need solved. Then set yourself on a mission to solve one problem at a time and show your potential customers how you can solve that problem for them. 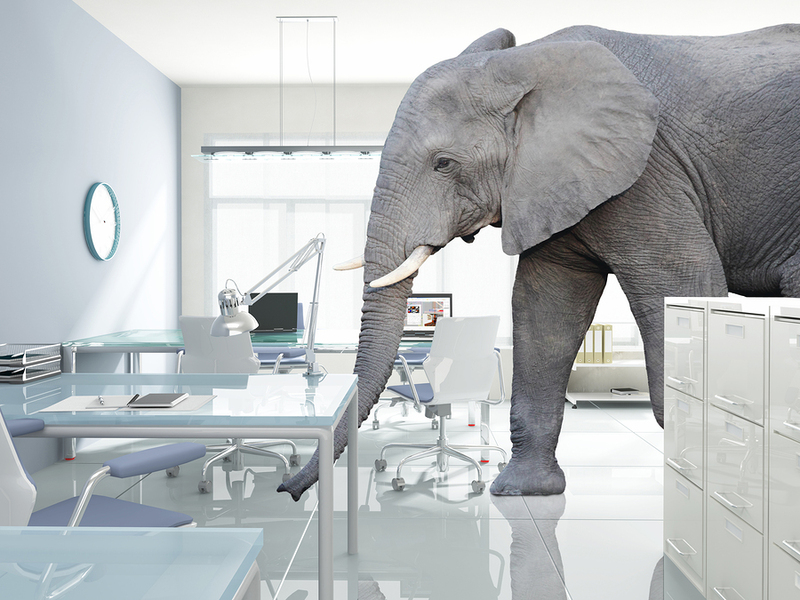 Don’t ignore the elephant in the room! An elephant in a room would be impossible to overlook. Like this majestic creature, we must create a unique presence. To do this, we have to do the important work of finding our Unique Selling Proposition (USP). It’s important for every business in this very competitive marketplace. Especially with the popularity of the Internet, you can get your business in front of millions of people easily compared to having to rely on foot traffic to a brick and mortar store. Along with the Internet comes a need to differentiate yourself from your competitors. Clients are suffering from information overload and you need to find your unique niche in your market so that you stand out above the rest. Did you know when a senior elephant in a baby elephant’s life is absent they act crazy? The elephant doesn’t have a leader, therefore he is left to his own devices to figure out how to act and what direction to take. As business owners, we can find ourselves lost without direction if we do not model and study those successful entrepreneurs who have gone before us. We will clumsily learn things through trial and error which can slow our business growth down tremendously. Or we can find a mentor to learn from and take a shortcut to success by following their lead using proven tactics that worked in their successful businesses. So find a mentor, choose your USP, and run your business elephant style! 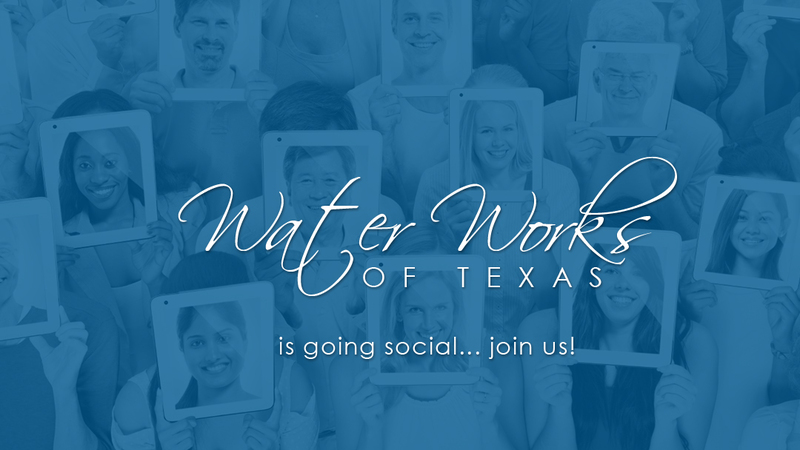 Water Works of Texas is going social... join us on Facebook at Water Works of Texas, Twitter @WaterWorksofTx and Google+ at Water Works of Texas! This majestic animal, roamed the world influencing culture, religion and human history like no other. 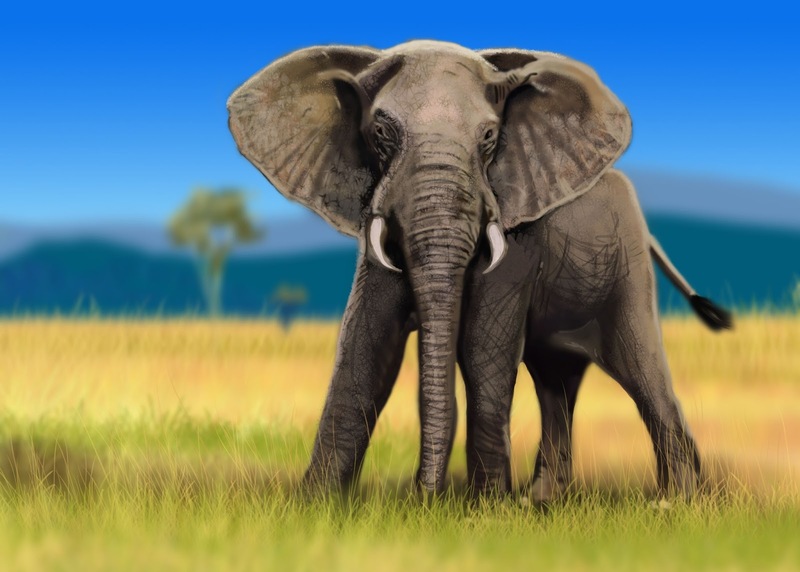 So, what do elephants have in common with the modern-day business? What traits could we possibly glean from these enormous creatures? Customers are the life-blood of any business. It doesn’t matter whether you are selling physical products or performing a service, it is important to make each customer feel appreciated and valued. One way to achieve this is to build a relationship with your customers and make sure you are on a first-name basis with them. Pick one experience or character trait of your customer and write it down by their name in your files so that the next time you see them you can blow them away by your memory of their particular circumstances. Setting a captive elephant free brings great merit in most cultures. The elephant's unique foot structure enables secure movement over uneven terrain and swampy ground. Their unique heel pad allows them to stand on their tiptoes with their body weight evenly distributed. It is no secret that owning a business has its fair-share of rough terrain, but it’s important to test new waters and persevere. Trying new things with the proper footing or foundation might be scary, but will be so worth the risk when you realize your dreams and goals for your business. As a business owner, you have to step out of your comfort zone in order to grow. Follow your instincts and grand ideas and catapult your business to the next level. Did you know that the population in Texas is expected to double over the next 50 years? Our existing water resources are not able to support this growth. Water Works of Texas strives to leave a legacy of wisdom for the next generation. WWT works to leave the world a better place by educating others about the importance of conserving water. Anything we can do today to help those that come along after us is important.